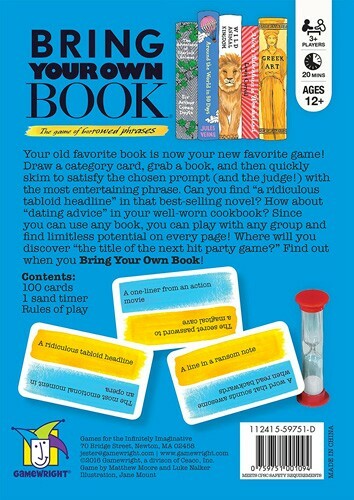 Turn a group's favorite books into their new favorite party game! 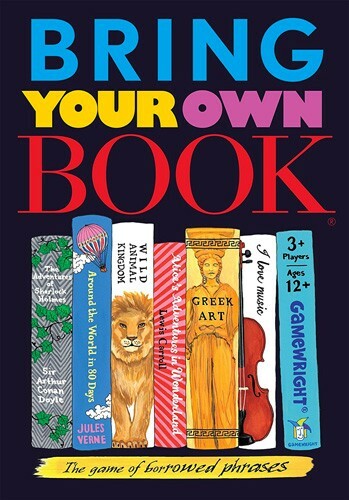 In Bring Your Own Book, you're trying to make a judge laugh with your response to a prompt -- by grabbing a line from the book you've chosen. Is there "a ridiculous tabloid headline" in your science textbook? How about "lyrics to a country and western song" in your favorite sci-fi novel? Make sure you look fast -- time is running out! The game includes 100 prompt cards, but since you can bring a different book each time, the replayability is endless! This game for 3 or more players takes approximately 20 minutes to play. Each of the 100 prompt cards includes two different prompts. 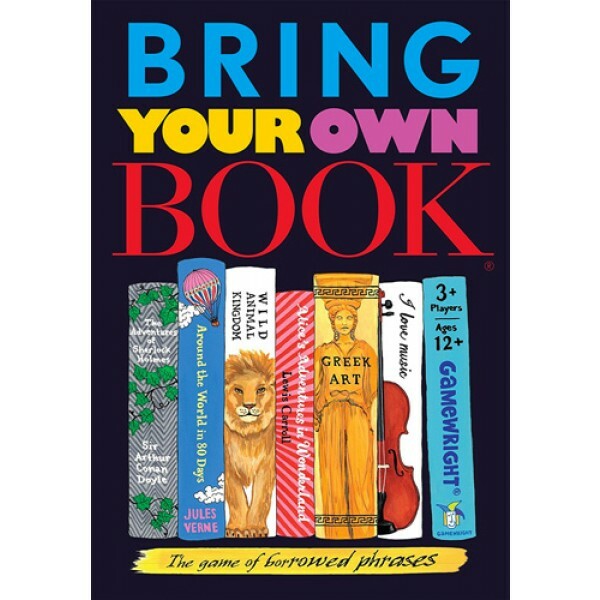 It's the perfect party game for a book-loving game group!